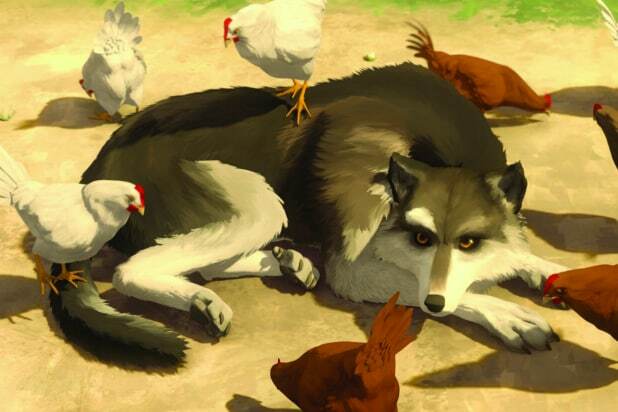 Netflix has acquired the Sundance animated film “White Fang,” marking the first acquisition deal for the streaming platform out of the 2018 Sundance Film Festival. The service is set to release the film later this year in territories including the U.S., Canada, Latin America, Southeast Asia, Japan, South Korea, U.K., Eastern Europe, India, Australia, New Zealand and South Africa. Academy Award winner Alexandre Espigares directed the film, with a voice cast of Nick Offerman, Rashida Jones, Paul Giamatti and Eddie Spears. Dominique Monfery, Philippe Lioret and Serge Frydman served as writers on the film. “White Fang” is based on Jack London’s classic novel of the same name, which is an adventure-filled tale set during the Klondike Gold Rush of the 1890s. It follows White Fang, a wolf dog who was injured and abandoned who ends up dog-fighting in Fort Yukon. He develops a friendship with two humans who treat him with kindness and respect. Producers on the film are Clément Calvet, Jérémie Fajner, Lilian Eche, Christel Henon, Marc Turtletaub and Peter Saraf. Superprod, Bidibul Productions and Big Beach’s “White Fang” is also a French/Luxembourg/USA co-production. Netflix came to the Sundance Film Festival with titles to screen — it debuted the Gloria Allred documentary “Seeing Allred” and the comedy “A Futile and Stupid Gesture,” but this is the platform’s first acquisition from the festival.